Our historic renovation will be revealed on May 1st. Take an exclusive first look. There is a special, almost secret, rhythm to life on Martha's Vineyard. It's a syncopation that keeps an easy pace with the gentle tides and carefree days here. 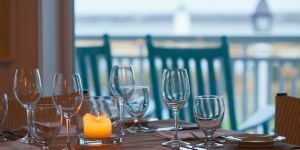 Living on Martha's Vineyard consists of simple times alongside family and friends that linger in your thoughts when you leave her sandy shores in your wake and return to the mainland. The feel of island sand between your toes. The snap of a mainsail in the fresh breeze of Vineyard Sound. The taste of an ice cream cone on a summer evening. Moments together that become cherished memories. 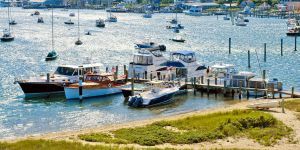 For many, Edgartown is the perfect island location. An easy stroll down North Water Street from your cottage puts you in the heart of the village, shops, restaurants, and authentic, sea-weathered charm. Sailboats ply the waters of the harbor. Winding trails lead vacationers on cruiser bikes to endless stretches of beach, as ideal for sand castles as they are for surf casting. Your cottage suite at Harbor View gives you convenient access to it all, making it the perfect place to call home and create lasting memories. 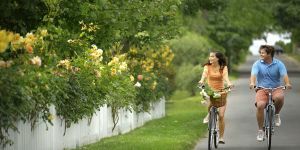 For additional activities, please refer to our Martha's Vineyard Activities Guide.